Here the overall concept works on reverse YouTube video by adding mostly required and searched keywords and content in the uploaded video. What is the best way to manipulate what the customers hear and to control their emotional range? What is the true way to influence the audience that is being the challenge to competitor YouTube videos? Many of us know the answer to above question and it is the video. It is a powerful marketing tool. When you are creating a video content for promoting a product, you should be careful about the content as it should add value to your brand. Videos rank higher in search results of Google as well. For this highly competitive search terms need to be used so that the search results show you on the first page. 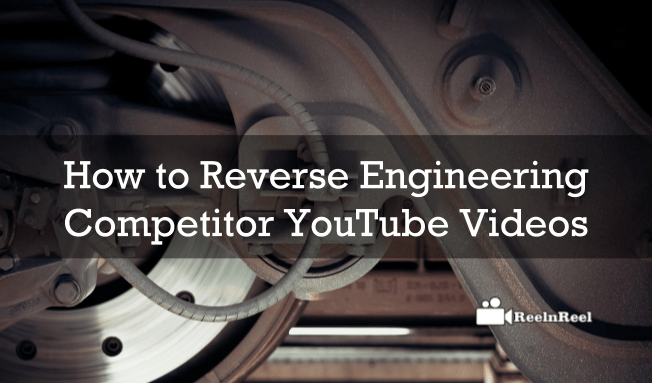 There is a shortcut way to achieve this and that is reverse engineering the YouTube videos of the competitors. YouTube algorithms for promoting a video are difficult to understand. The platform does not make public the variables that factor into the algorithm. However, there are few things like thumbnail, title impressions and viewing history that can help shed light on algorithms. Optimizing the videos for watch time is a principle and the watch time combines total views, duration, session beginning and ending and upload frequency. When the view velocity of a video is poor, YouTube will not serve the next video to a significant portion of the subscriber base. When many subscribers do not watch the new uploads, the views of the library videos goes down and also the overall channel viewership. Such YouTube channels are punished by YouTube by not actively promoting them. Another metric that can impact the YouTube algorithm is the view duration. YouTube promotes the channels that make the people come back to the platform and makes people spend extended period of time on the platform. YouTube determines how many views the videos and channel gets algorithmically. To make a channel successful, creators must focus on one type of videos. Specific content type is watched more on the platform. Most of knowing our competition websites and YouTube channels. Go their own sites or channel and see their videos. If you don’t know your competitors, then search for somebody in you niche on focus on topics on which you are making the videos. Observe for what keywords, their videos are showing up in search results and what are the keywords commonly used by you and your competitor. Also look at the titles, description and the content of the videos. Also find if there are faults in the videos. This is to ensure to learn what they are doing right and also not to repeat their mistakes. YouTube displays the recommended videos to the audience at the end of the videos they watch. This is good for the audience but may be bad for the video creators as this can promote the competitors videos which might result in other related videos getting more views and ranking higher in search results. To stop related or recommended videos being displayed by YouTube at the end of the video, modify the default embed code from YouTube. Request for the embed code when uploading the video by adding rel=0 in the code. Use this edited code on the website or the blog. There is also another way to stop the recommended video display and this is by unchecking the show suggested videos when the video finishes. However, reverse engineering cannot produce results instantly. You achieve it slowly and for this, you need to pay attention to what right things you and your competitors are doing and what wrong things.